All set up for uptown, come down if you are in Minneapolis! 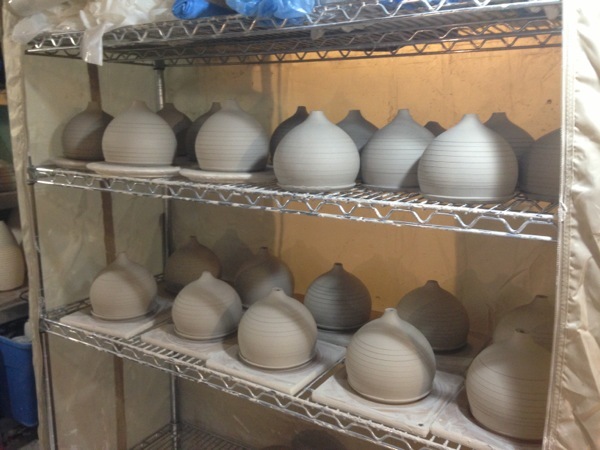 Throwing lots of bud vases for uptown. Did a little experimentation in the studio and came up with a new pattern design. I think I like it.